Four ways that Titanfall 2 differs from its predecessor. The first Titanfall 2 open beta technical test has given players a firsthand look at some of the upcoming changes expected in the highly anticipated sequel. Some changes have been met with praise, while others seem to be a step away from the game’s original vision. We've outlined four major differences players can expect to see in Titanfall 2 ahead of the sequel’s release in October. When transitioning to Titanfall 2, you may notice a considerable lack of Titans being called into battle compared to the previous game. 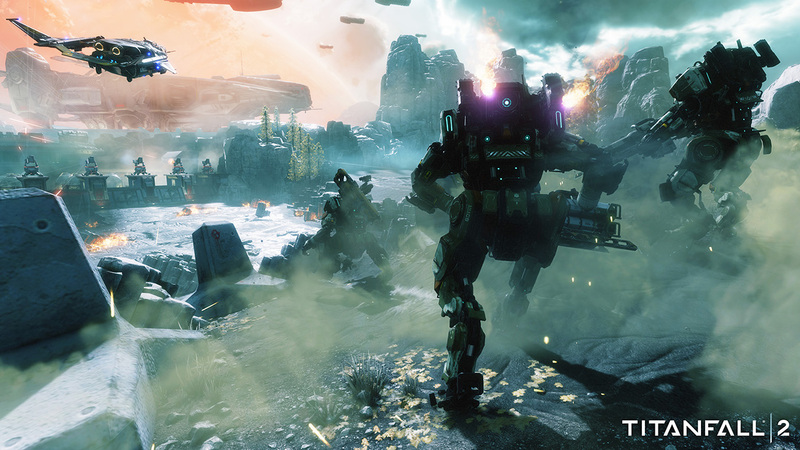 In the first Titanfall, a player’s Titan would automatically become available after a certain duration of time, allowing all players to call down their Titan at some point. Players could speed up this process by actively performing tasks in battle if they wanted their Titan sooner. 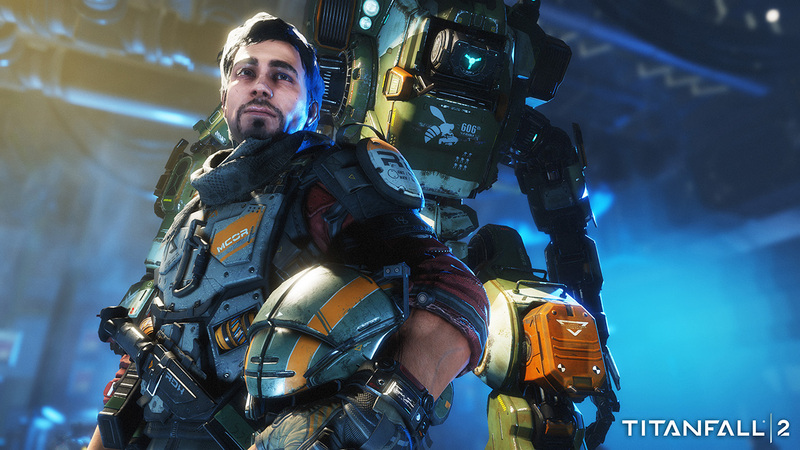 TItanfall 2 has decided to altar the way Titans are earned, taking a more skill-based approch. Titanfall 2 treats Titans more like scorestreaks now, basing their availability on the player’s battle performance rather than on an automatic countdown timer. You don’t necessarily need to get kills, but you will need to put in some effort if you want to call in your Titan at some point during a match. This may be problematic for some, as it seems that Titans are only reserved for 'good' players now. The goal may be to promote more Pilot vs. Pilot combat by controlling the regularity of Titans on the battlefield, but this may still discourage some players while also leaving them at a disadvantage. However, given the outcry from fans, the developers may change this feature or revert back to the original method for earning Titans by the time the game launches in October. Players will find several new weapons and features at their disposal in Titanfall 2 that may help spruce up the gameplay a bit. One such item is the grappling hook, which works as you would expect. Players can shoot their grappling hook to pull themselves onto Titans or other surfaces. Or, if you’re feeling cheeky, fire the grappling hook at an enemy Pilot for some impromptu close-quarters action. There’s also a pulse blade throwing knife that highlights opponents through walls, as well as a holo pilot feature that releases a hologram decoy onto the battlefield. These perks aren't particularly unique, as we've experienced similar features in other shooter games, but perhaps they'll add a new dynamic layer to gameplay in Titanfall 2. One of the biggest community requests for Titanfall 2 was to include a proper single-player campaign. The integrated multiplayer storytelling of the first game was unimpressive and unrefined, and Respawn Entertainment has aimed to fix their lackluster campaign with an actual single-player story mode this time around. Titanfall 2’s single-player story campaign will include boss battles, dialogue options, and even puzzle elements. Hopefully these narrative improvements to Titanfall 2 will help clarify and shape the lore of the world better than its predecessor. In an attempt to alleviate dead lobbies and maintain the pace of multiplayer, Titanfall 2 will feature a new matchmaking function called Networks. Think of Networks sort of like global clans. Your Network is found on the menu where you would normally join a multiplayer match. Joining a particular Network puts a Clan Tag by your name, and allows you to quickly matchmake with other members within the same Network. Players can join multiple Networks, each with the goal of bringing players together for either Social or Competitive purposes. Networks offer simple and efficient matchmaking without the exclusivity of clans, helping players quickly transition from one match to the next. While some of these these features may change things up a bit, they aren’t anything we haven’t seen in multiplayer games before. In fact, several of these changes feel all too familiar. Hopefully Titanfall 2 will be able to appease the requests of loyal fans without sacrificing the fast-paced parkour and mech-driven combat that made the original so unique.